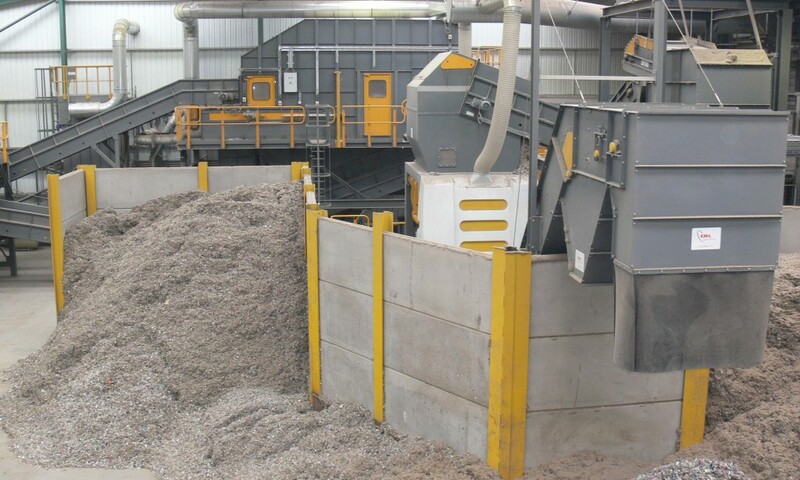 Generally recovering RDF (Refuse derived fuel) – suitable material comes at the back end of another processing plant. Whether processing C&I, MSW, Co-mingled, or even Plastics, the residue may provide potential for a bolt-on RDF plant. The extent of the RDF material will of course depend on the nature of the residue. Producing RDF material will inevitably involve shredding the proposed material to the correct size. As such processes of removing heavies by way of an air separator, and metals by way of magnets and eddy currents, are often present. In addition, and depending on the specification of the proposed material, a special sorter may be required to achieve the removal of chlorine contaminants (generally PVC of which 57% of which is chlorine). At the front end of an effective RDF production must be some form of dosing material. This assists the operation of special processing equipment and the shredder. The technologies involved for the most efficient production of RDF type material vary depending on the proposed infeed material but generally involve dosing, air separation, metal separation, sorting, and shredding. Vtormat Engineering provide fully customized RDF production plant taking in consideration all specific factors and after a full analysis of the overall situation. In order to obtain the best suitable RDF plant it will be needed to receive all available information about the waste to be treated and its sources of origin. There are not identical RDF plants – we develop our facilities for maximum results customized to our clients’ special requirements. Implementing best in class technologies, our team is able to simulate results based on specified variables, enabling our customers to gauge results before implementation.